There was heavy traffic on the elevated expressway from Shanghai to the Pudong Airport. The official number of residents in the city of Shanghai is equal to the number of people living in all of Australia. When I lived in Shanghai five years ago, there were noticeably less cars on the road than now. China’s economy is moving fast and with force – picture a supertanker moving like a speed boat. Today, even though heavily taxed, more cars are being sold in China than in any other country. Since 2009, China has consistently produced more automobiles than the United States. There are more than 130 passenger car brands and more than 950 different models available in China. The fastest growing sector is ‘New Energy Vehicles’ (NEV): electric and plug-in hybrid vehicles. China has some of the most advanced modern factories with some of the largest outputs in the world. While attending SAP’s China Automotive Summit two weeks ago, I had the pleasure of visiting one of four BMW Brilliance (BBA) manufacturing plants just outside of Shenyang. 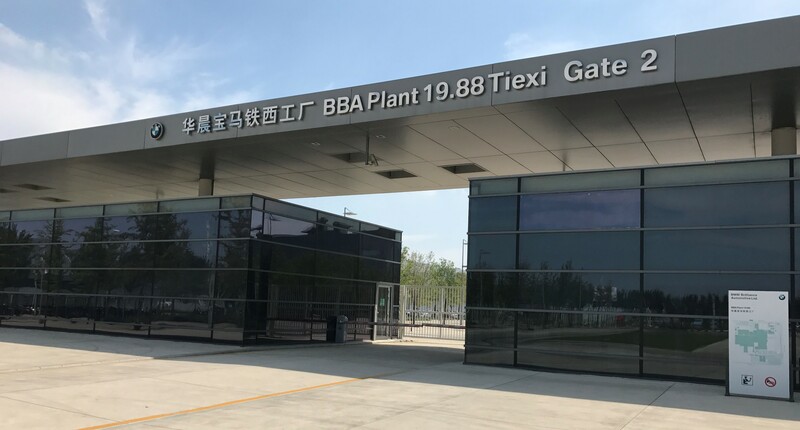 Built in 2012, the BBA Tiexi plant is an example of most advanced manufacturing, dubbed in China as ‘Manufacturing 2025’ or what Germans call ‘Industry 4.0’. Heavily automated assembly lines at the Tiexi plant seamlessly produce multiple models, from the BMW X1 to the 2 series and the 3 series. The 3 series is also produced in a long version, popular in China where it is common to have a personal driver. What is obvious to the observer is Chinas relentless commitment to investing in the latest technology, infrastructure and building to massive scale. As a German American who has lived and worked in China, I sometimes feel that Americans and Europeans are oblivious to what is happening in the land of the rising sun. Infrastructure: China has the most modern and efficient airports. Compare that to the $6 Billion German embarrassment of an airport for its capital city Berlin, so far eight years late. Technology: The leading speech-based Artificial Intelligence provider is not Amazon with Alexa, or Apple’s Siri – it’s China’s Iflytek. Also, while WhatsApp has a large following, China’s 768 Million WeChat users have access to far more advanced features such as electronic payments and online gaming. It seems as if WeChat payments are ubiquitous in China and will soon replace both cash and credit card payments. In a globally connected world automotive companies are reinventing themselves. China is a great example of jumping technology stages aiming to become the leader in electric mobility. Technology companies, like SAP, recognize the gravitas of China in becoming a leader in the automotive world. That means listening to the specifics of the market, tech infrastructure ecosystem, and consumer preferences. SAP’s Leonardo digital innovation system provides breakthrough cloud-based technologies that enable fast moving players to be ahead of the game. 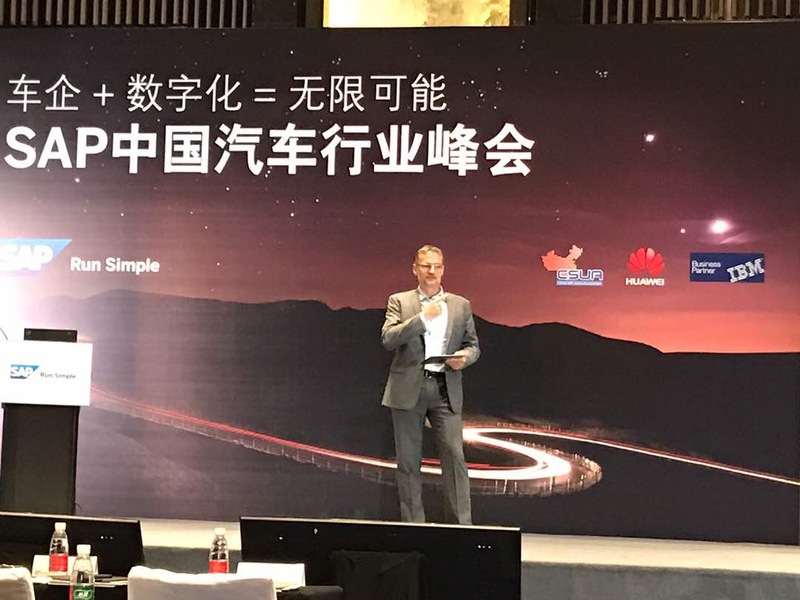 Accelerator services apply design thinking and SAP expertise to help rapidly adopting new capabilities and business models – just what agile automotive companies and service providers need, in China and elsewhere in the world. Meet the SAP Automotive team at the New Mobility World exhibit during the Frankfurt International Motor Show, September 14-17, Messe Frankfurt, Germany, Booth C34, Hall 3.1.